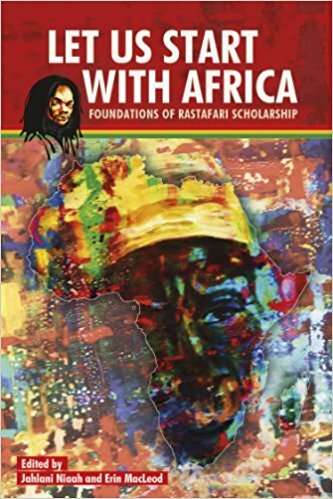 The collection Let Us Start with Africa: Foundations of Rastafari Scholarship commemorates the inaugural Rastafari Studies Conference, held in August 2010, and collects, for the first time, some of the main thinkers on Rastafari. It is an exciting and wide-ranging text that provides insights on the last fifty years of investigations into Rastafari. This book offers some of the most significant unpublished work from pioneering scholars of Rastafari as they examine the history, development and future of Rastafari scholarship. With a foreword by renowned Garvey scholar Rupert Lewis and a comprehensive introduction by the editors, this collection is essential reading for students of Rastafari studies, as well as African and Caribbean studies. Contributors: Roy Augier, Barry Chevannes, John Homiak, Erin MacLeod, Rex Nettleford, Jahlani Niaah, Mortimo Planno. Co-published with the Rastafari Studies Initiative, University of the West Indies.